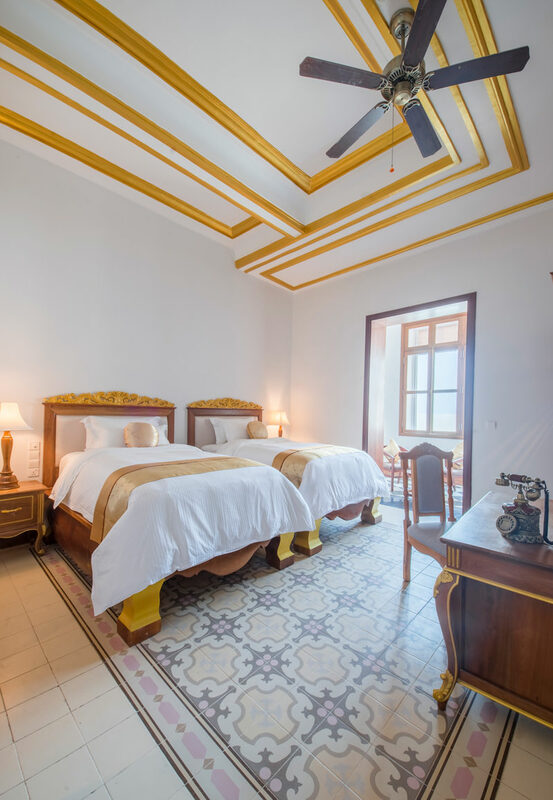 The Bokor suites are designed with classic decor, high ceiling to create incredible beauty and enjoy the personal space in elegant environment. 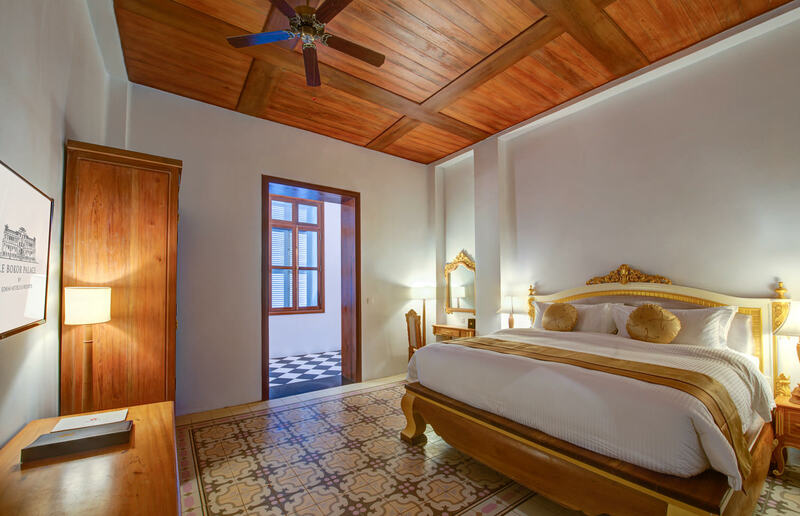 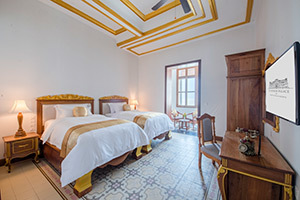 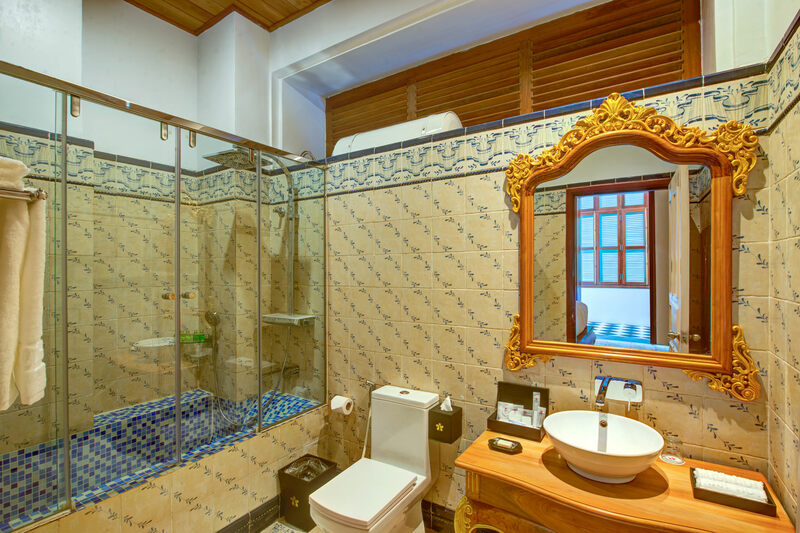 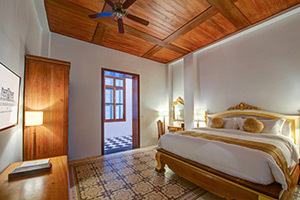 All the suite rooms have comfortable mattresses with King Bed, handmade wooden furniture, Italian bathroom equipment, Spain tiles, velvety sofa and some rooms have private balconies. 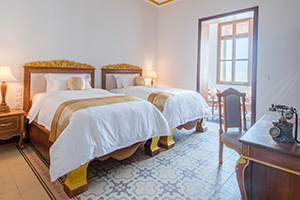 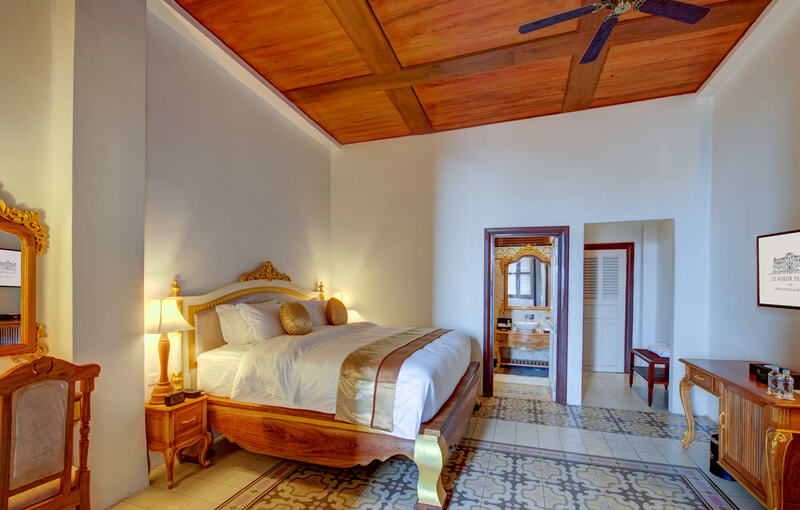 Only two rooms have double doors, guests can direct go to tropical garden. 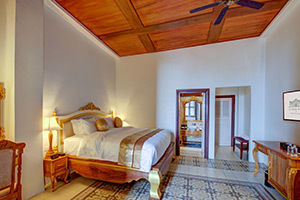 To provide you with the ultimate luxury stay experience.